A radical cleric, who is a member of the opposition, had his license to preach revoked after he blamed a hike in food prices on government corruption during a sermon on the southern city of Addu on Friday. A spokesman for the Islamic ministry said Sheikh Ilyas Hussain had violated the Religious Unity Act by preaching his own words instead of the sermon prepared by the ministry at the main weekly prayer on Friday. Only an Islamic ministry-approved sermon can be read out at the weekly prayer, but clerics with licenses are allowed to preach as they wish at other times during the week. Ilyas, who has stirred controversy in the past for his anti-government and conservative views, has denounced the cancellation saying he “has not done anything illegal,” local media report. 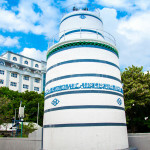 The cleric is also a member of the Islamist Adhaalath Party, which is part of an opposition coalition seeking to oust President Abdulla Yameen over allegations of corruption and human rights abuses. Addu Live, an Addu City-based news website, said Ilyas had warned of “disaster” from government corruption and spoken out against legislation protecting Western notions of human rights. “The biggest concern in the country at the moment is over the rise in prices for staple foods. People are questioning what this means for them. Allah will provide and people would not starve to death. But if there is corruption, treason and deception all the way up to the head of the state, that country is doomed for disaster,” the website quoted him as saying. He went on to criticize the government for refusing to enforce the Islamic Shari’ah. “It is a great sin to make laws that contradict Islam all in the name of children’s rights, women’s rights or human rights,” he reportedly said at the mass gathering at Masjidhul Amaan in Feydhoo. Ilyas told Vnews, a local news website, that he first obtained a permit to preach in 1995, and received a second permit to preach from memory, without notes, in 2008. Since the Adhaalath Party split with the government last year, Ilyas has complained of government refusal to lease him public spaces to preach. In February, Ilyas had urged religious scholars to rise up against Yameen, accusing him of being more anti-Islam than previous governments. The remarks prompted a furious reaction from the ruling party. 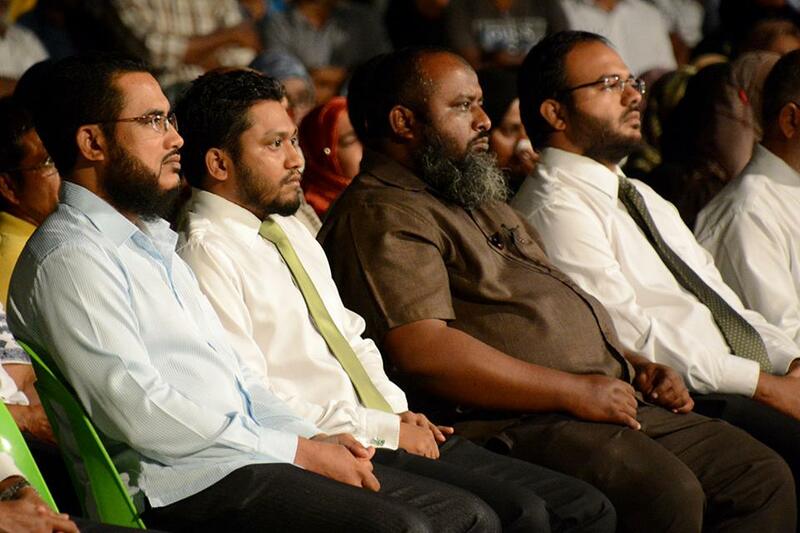 Ilyas’ party had played a key role in bringing Yameen to power, labelling MDP as “anti Islamic” or laadheenee. The Adhaalath had abandoned the ruling coalition when a former defence minister and its president, Sheikh Imran Abdulla, were jailed on terror charges. 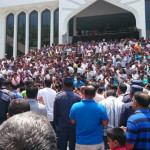 Ilyas said that Islam and the state must not be separated, and accused the government of bribing and coercing MPs to pass anti-Islamic laws to silence dissent. 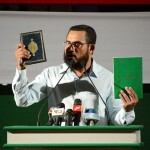 Ilyas also stirred controversy in 2013 with a sermon he gave in Malé claiming that the new penal code – then at the drafting stage – would destroy Islam and that it was a “trap made by the west” to destroy Islam. Following the sermon, he was summoned to the parliament’s penal code committee on charges of “misleading the public”.